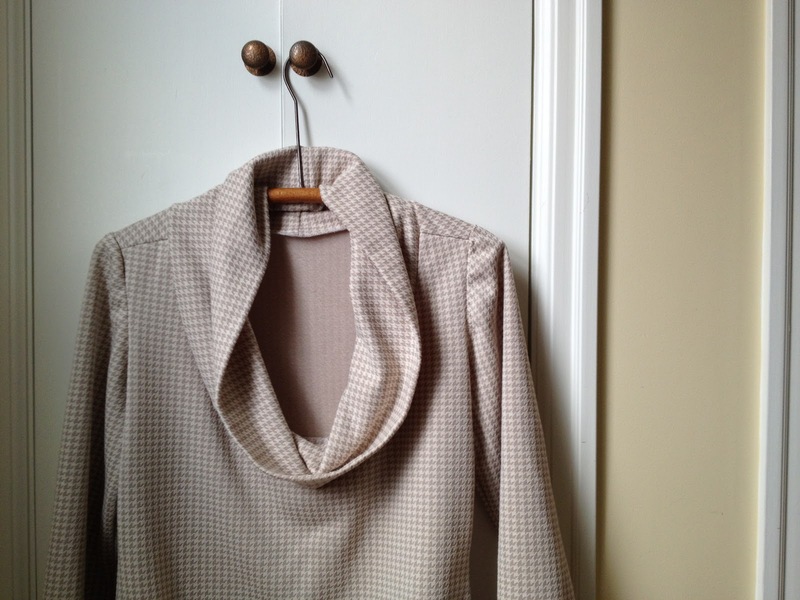 Cowl necks and houndstooth belong together, don't you think? This was one of those - I can't find anything to wear, better make it the night before projects. I used a pattern that my friend from Ajah Clothing helped me draft up several months ago at Sew Club. I'm still adapting it, but by adding a belt, it fit well. I'm happy. Hey thanks Jennifer! Looking forward to whipping up something fun on Friday at Sew Club. Perhaps flannel ponchoish?